Landscaping By J. Michael has been installing underground sprinkler systems since 1991, when this industry was just beginning to expand! Decades of experience has helped us to manage our design/build installation process without delay. Not only will our team design and install an irrigation system customized to your property’s specific needs, but we also offer comprehensive services to repair and maintain irrigation systems for residential, commercial, and H.O.A. properties. At J. Michael, we understand the importance of water and energy conservation, in regard to both, the environment and your water bill! Our technicians can use “green” technologies, such as controllers, sensors, drip irrigation, and more, to ensure accuracy and efficiency. We also provide our technicians with current water conservation rules and regulations for each town, so that you don’t need to worry about tedious details. The installation of an irrigation system is certainly a worthwhile investment for any commercial or residential property. When it comes to installing an underground sprinkler system, every detail is important. The trained irrigation technicians at J. Michael, along with our expert design team, will deliver the best possible solution to last for years to come. Get in touch today for a free estimate. A professionally-designed underground sprinkler system sprays the right amount of water at the right time, automatically! Let our trained technician properly open your existing irrigation system for the new season. We will turn on the water supply, set the clock to optimize on watering times, adjust sprinkler heads and drip zones, and ensure you’re abiding by the water conservation regulations in your area. To prevent expensive damage to your sprinkler system during New England’s harsh winter, it’s necessary to schedule a complete and proper sprinkler blowout when closing down your irrigation system in the fall. Even the slightest bit of water is susceptible to freezing in low temperatures, and causing pipes to crack. It is worth investing in a certified technician to ensure, not only that your underground irrigation system will be closed down correctly, but that no one is injured in the process. Blowing out a sprinkler system involves several important steps. For example, first our technician will determine in which order to close the zones, which varies depending on the system. Throughout the process, they will be sure no air continues to get pumped into the system once it’s dry, as this can cause heat damage. Furthermore, it is imperative that all valves are not shut off at once while the air compressor is still running, as this can also cause serious and costly damage to the system. Another benefit to hiring a professional is their training and experience in navigating a sometimes hazardous process. An air compressor uses great strength and can be very harmful, especially to the eyes. Once the compressor is hooked up, air must be slowly released into the sprinkler system. By choosing not to have your system blown out by a professional, you risk having to repair your system in the spring, due to a problem that could have been prevented. Call J. Michael today with any questions or to schedule your irrigation service. Ask us about our warranty. With over 30 years’ experience and a hard-earned reputation in in the South Shore and beyond, Landscaping By J. Michael strives to exceed our customers’ expectations on every job, and this includes all irrigation repair services. 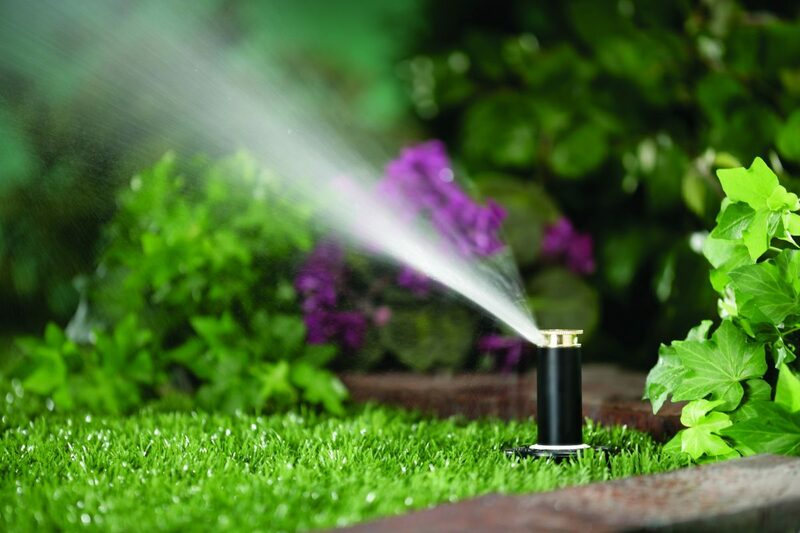 Sprinkler systems require regular maintenance to ensure your greenery remains healthy and fresh! Of course, damage to an irrigation system is not uncommon. When you call J. Michael, you can trust that we will send only trained professionals who can provide sustainable solutions to to keep your system running for years to come. For added relief, we offer a 2 year warranty on manufacturer defects and 1 year on labor and workmanship. VIP: Pre-pay and save 5% on your irrigation services! Our VIP Irrigation Program covers both, the Spring Open service and the Fall Close service. GOLD: Pre-pay for our GOLD Irrigation Program to save 10% on opening and closing services, as well as additional savings on seasonal adjustments. Our Gold Irrigation Program includes the Spring Open service, mid-summer adjustments, early fall adjustments, and the Fall Close service.